The Sun Enterprise 4500 server is a fourteen-way multiprocessing server that delivers the same advanced availability features of our high-end systems, including dynamic reconfiguration and alternate pathing (DR/AP), enabling online expansion and maintenance for maximum uptime. Custom Configure your E4500 now or request a quote on upgrades and/or parts, or contact us at info@vibrant.com or 888-443-8606 with any questions. 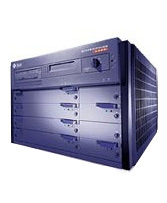 For pricing on new or used Sun Enterprise 4500 servers, upgrades or parts, please contact Vibrant sales at sales@vibrant.com or call 888-443-8606 or 952-653-1700.